Russia pulled off what was arguably the shock of the World Cup as they dumped 2010 World Cup winners Spain out the tournament. In front of a packed Luzhniki stadium, the Russians did the unthinkable by taking Spain to penalties and edging them in the shootout. It seemed like Russia had decided after an hour against Spain that penalties would be the way to win this fixture. Stanislav Cherchesov’s men manned the barriers and kept Spain out to record a famous win and set up a tie against Croatia. Croatia’s fixture also went to penalties against Denmark and had just as much drama as Russia’s. It looked as if the Croatians had blown it after Modric missed a penalty in the 115th minute to win the game but they would triumph in the shootout at the end of extra time. 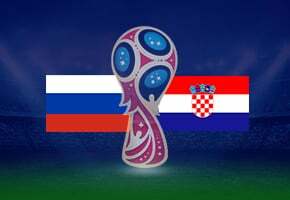 Given what went on in with two teams in the round of 16, the only conclusion is that this quarter-final fixture between Russia and Croatia will be far from straightforward. Croatia go in as favourites and rightly so after the football they have played at the World Cup. Punters can back a Croatian win at goods odds of 2.15 with Ladbrokes. Every football fan across the globe will be asking themselves how much longer Russia can keep this run going. Even an out-of-sorts Spanish team were backed to beat Russia given the gulf in class but it wasn’t to be. It may be time to recognise that Russia aren’t as one dimensional as first thought and happen to be getting the absolute most out of home advantage. 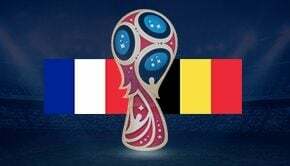 Croatia will know just what a fantastic opportunity this is to get into the World Cup semi-finals but there will be an uneasy feeling in the camp as well. Only once the whistle goes against Russia at this tournament does a team find out how tough it is to win. It is worth noting that the Russian celebrations at the end of the fixture against Spain gave the impression that they may not be that hopeful of going any further in this tournament. The players paraded around the stadium with banners and it looked like a celebration that would be fitting of a World Cup final win. Croatia will surely be the team to end the Russian dream by reaching the semi-finals. Russia will open their formation up again and look to get at the Croatians. They won’t be as defensive as they were against Spain and that may be their downfall at the end. Punters can back a 3-1 Croatian scoreline with Bet365 at 26.00. With a spot in the World Cup semi-finals on the table, both teams will go for it and goals should follow. The majority should come in the second half as an ageing Russian side feels the effects of a packed World Cup schedule. The floodgates should open for Modric and his teammates after 70 minutes. Over 2.5 Goals with Betfair is 2.63. Croatia have scored in all of their fixtures at the World Cup so far and Russia have scored in all but one of their four fixtures. Both teams to score is the way to go with Crownbet at 2.18.